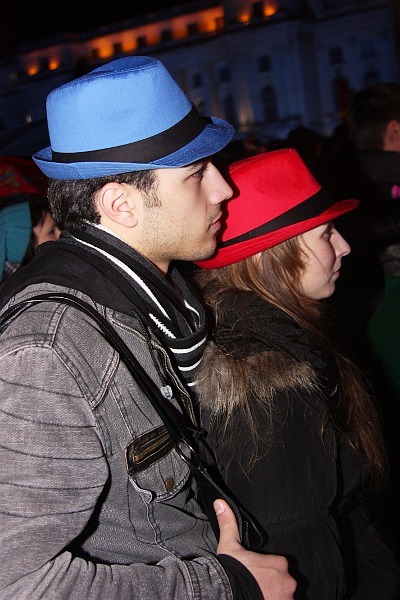 This time I tried again to spend the New Year's Eve on the street with my cameras, where I took a few photos and recorded a few videos (still not ready to be posted, a big video upload is ongoing, they will probably be published only on my photoblog, to keep the noise down). 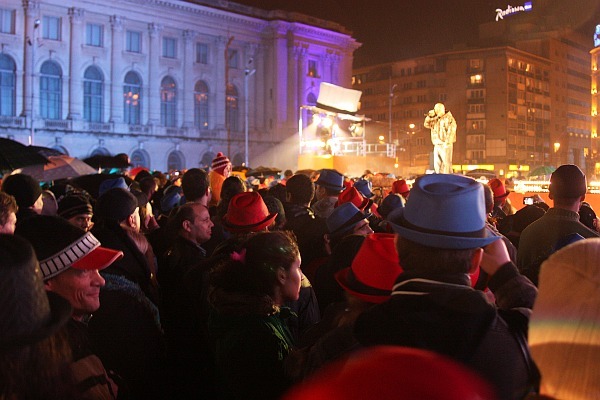 While my main target was the large party in the Constitution Square, I passed by Revolution Square, where they had a smaller party organised by Pro TV/MTV. 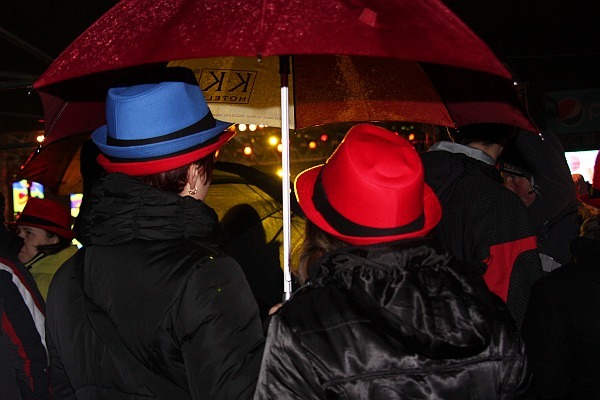 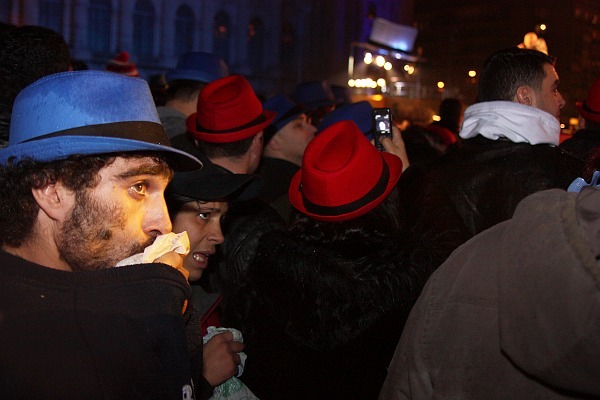 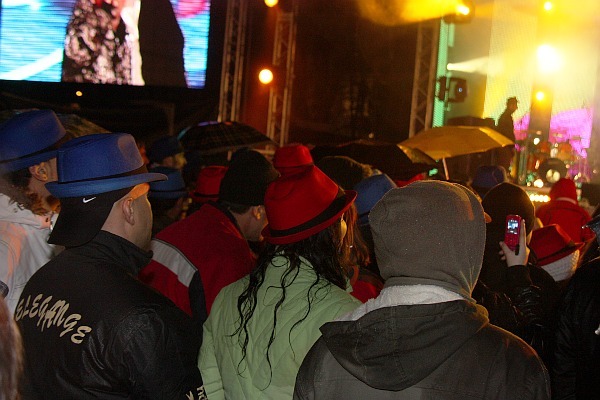 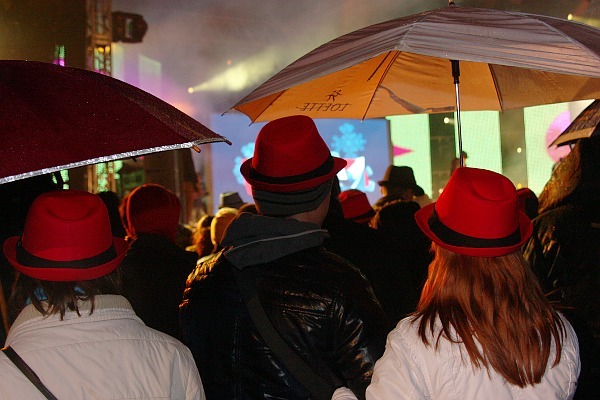 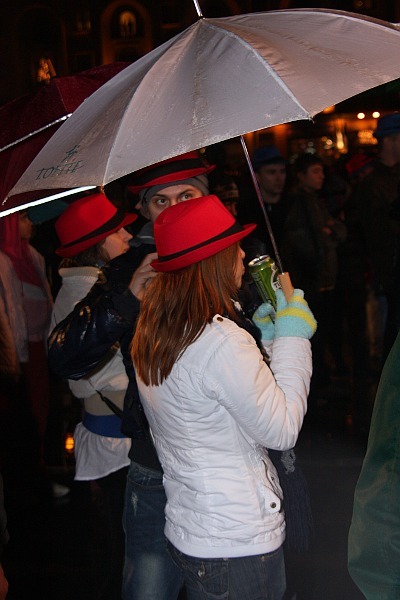 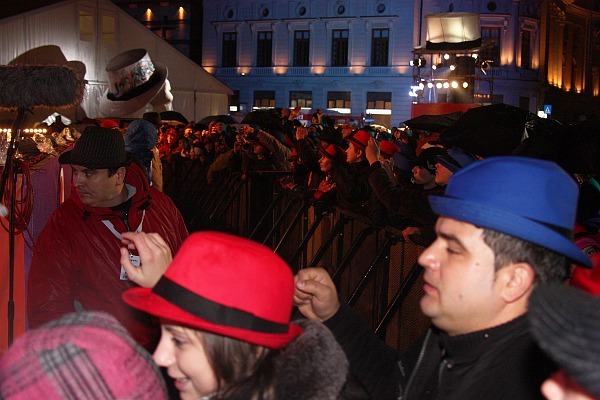 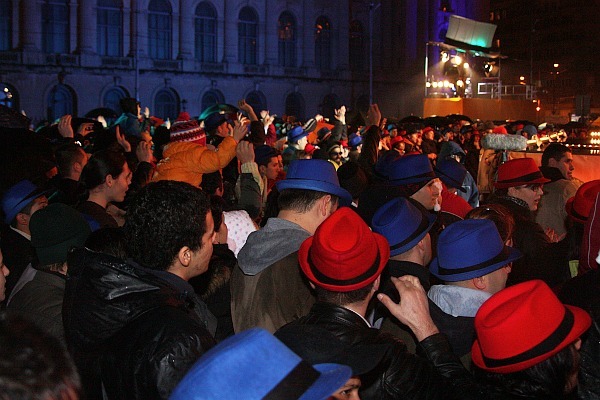 Very nice comparation from a political event to a very nice Fedora/Redhat funny story .